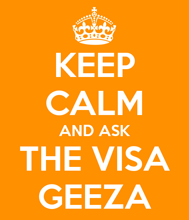 Easy, yet an important question this one – all about visa label collection once your applications have been approved. Hi, we have received information that our visa stamps will be sent out in November, however I will be travelling overseas during that time and won’t be at a fixed address until I arrive in Hong Kong. Is it possible to enter on a tourist visa and then be re-processed once we have collected our visa stamp from a fixed address in Hong Kong? My Hong Kong visa application was closed by the Immigration Department after Correspondence was lost – what happens now? Statistically, what are the chances of your Hong Kong employment visa application being approved? Is there any maximum time limit to collect the dependent visa on its approval? If not within 30 days speak to the officer.